Anna Higgins is an attorney specializing in sanctity of life policy issues, ranging from conception to end of life care. Anna has a B.A. in political science from the University of Florida and a J.D. from Liberty University. She has been active in the pro-life movement for many years, including serving as a volunteer counselor at two pregnancy help centers. Currently she serves on the board of a pregnancy medical center in Florida. Anna previously held the position of director of the Center for Human Dignity at the Family Research Council where she wrote model legislation on life issues, testified before state legislatures, co-authored comments on Obamacare’s HHS mandate, and wrote numerous articles on issues related to human dignity. 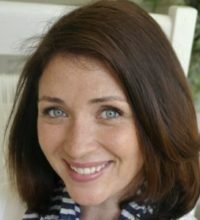 Anna has been quoted by USA Today, The Washington Times, and U.S. News & World Report, among other publications; and she has appeared on national and international television news and radio shows. Anna currently resides in Pensacola, Florida with her husband Michael and son Patrick.